1. 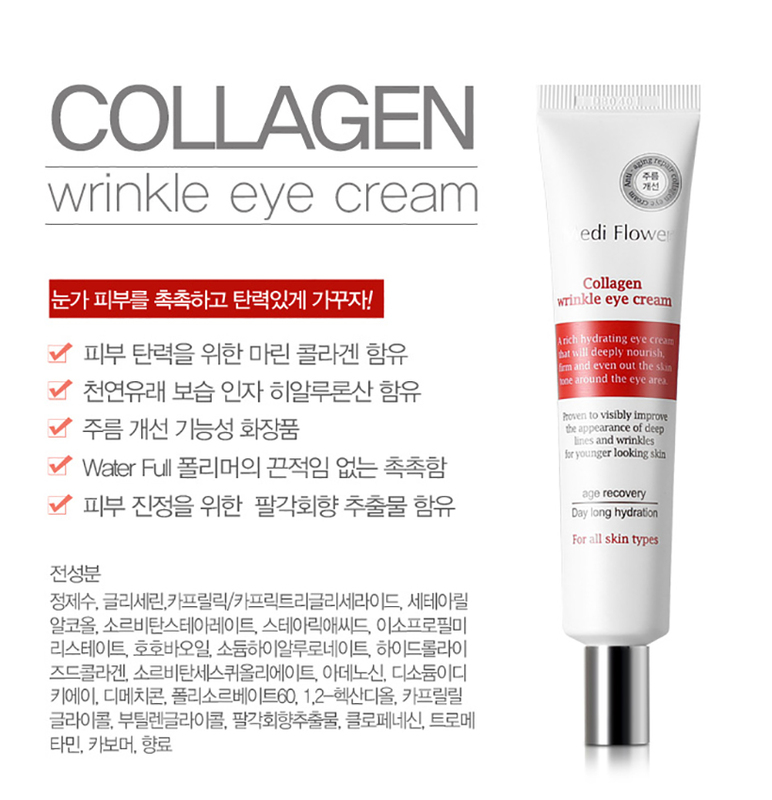 It contains marine collagen for skin elasticity. 2. Natural Hyaluronic acid is contained for moisturizing. 4. Water Full Polymer gives moisture without stickiness. 5. It contains octagonal fennel extract for skin soothing. Take an appropriate amount, spread it gently to the eye area and tap it until it is absorbed into the skin.